Edited by Salamandre at 22:47, 13 Apr 2012. I couldn't stand those old fashioned dialogs from 3.58f and spent my holidays week on them + whole test. Credits go also to JimV, as coauthor. 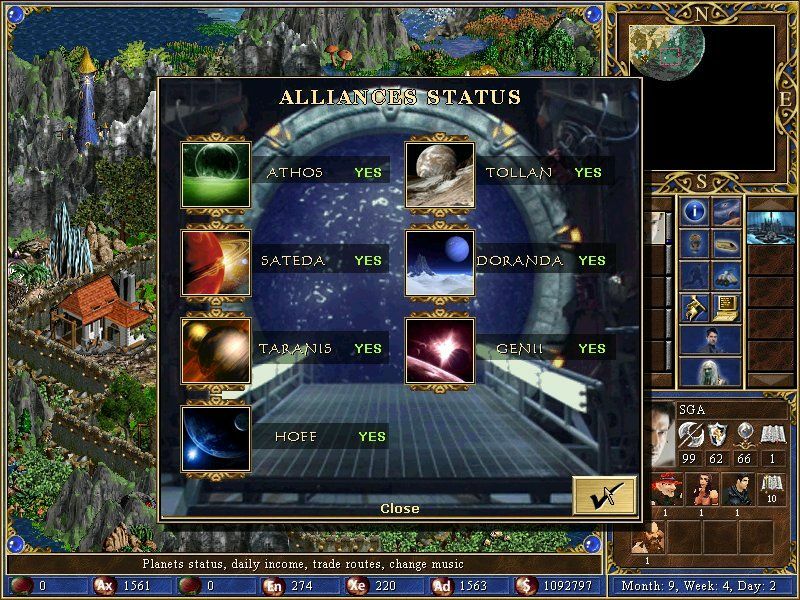 Atlantis is not compatible with any other mods, so make sure your MODS folder is empty. Unfortunately I could not find a way to play music fluently when hero walks on map, it is a pity. Don't shot at me for unpolished graphics, this was done in 2010. The movie still shows the old dialogs. Edited by master_learn at 10:36, 14 Apr 2012. 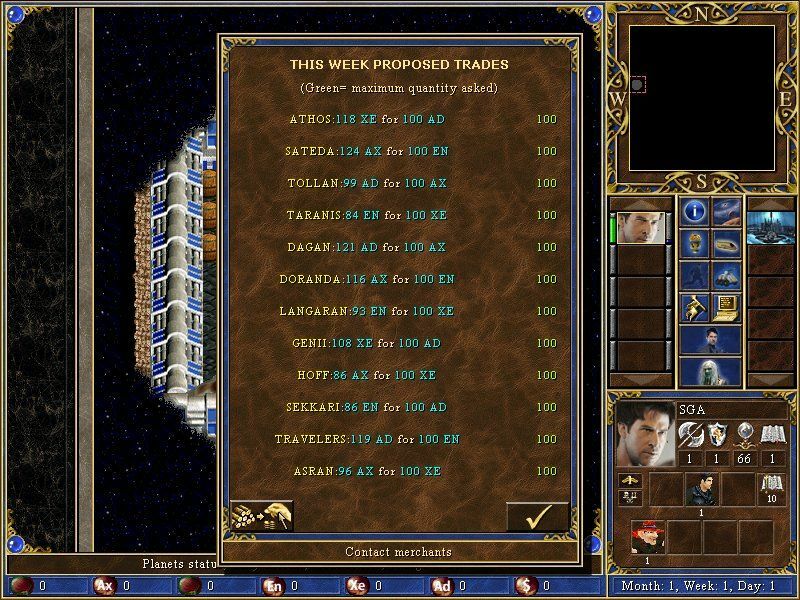 Thank you,Salamandre,for converting Atlantis as a mod in Era and for testing it with the new changes! Some maps require a lot of time,so I cant begin to play it again at the moment.But I have finished it once(before Era) and when I am ready I will play it again! I really wonder how you have enough time and energy to do this. I mean, new maps, update maps, play maps, test maps, etc. Edited by Salamandre at 18:31, 14 Apr 2012. Atlantis is old map and took only one week to update, I am in holly-days. It needed to, because 3.58f install process was very difficult. 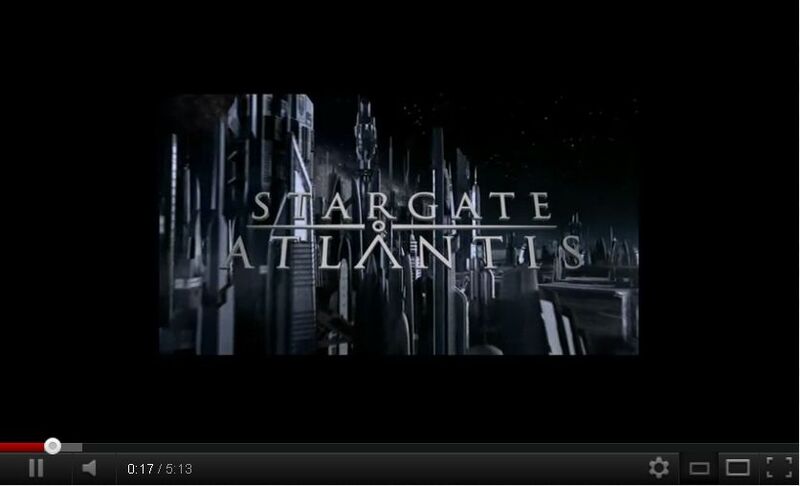 However, it is a full conversion of Heroes, so probably only Stargate Atlantis show fans will enjoy it. Edited by BlueOrb at 18:46, 14 Apr 2012. Yeah, sorta out of my taste it was that map. Probably cuz I rarely watch TV, instead I prefer to read books. Edited by Speedmaster95 at 13:47, 17 Apr 2012. Edited by Salamandre at 17:11, 17 Apr 2012. No man, Atlantis took 9 months to get out for 3.58f and 1 week to convert to ERA 2. With two people working daily on it. Ah forgot it was out long time before, but I mean I couldn t work daily on doing that.ERM and all those scripts are complicated and look for me like chinese daily working on it would make me crazy.But good work ! Edited by kswdiy at 08:04, 20 Apr 2012. Do not quote the whole post. Ask first if not already translated, I recall it has about 10-15 threads in your forums. Edited by RenLinFeng at 10:49, 20 Apr 2012. 20k script/dialogs lines, I can't imagine someone starting to translate that. And probably chinese never saw the TV show anyway, let it go. Edited by Salamandre at 13:51, 20 Apr 2012. I don't understand what you want to do. Replace chinese version with ERA one? 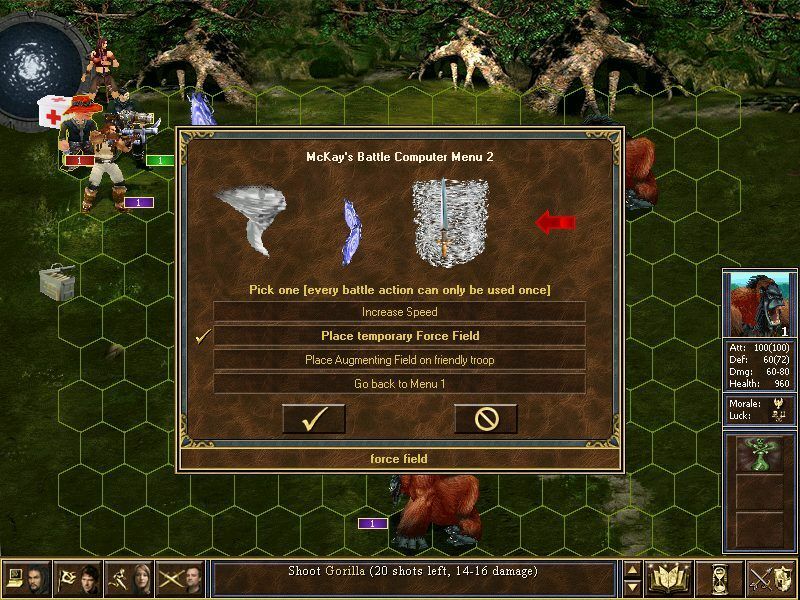 I am afraid this will be quite impossible, I did several fixes to all tavern bounties, and all Help menu was redone. Personally I am not warm about botched translations, I don't get why people simply don't play them in english. If one can't speak english, he should not be playing computer games, but instead learn english first. Universal language is a must to have when using internet. Can you extract all scripts from chinese version, put them in one erm file, then send it to me please? I will only modify ERA additions, and point them to you, it will be much easier.